For decades Blizzard entertainment has had success with the Warcraft title, first as a series of Real Time Strategy games, then as a genre defining Massive Multiplayer Online. 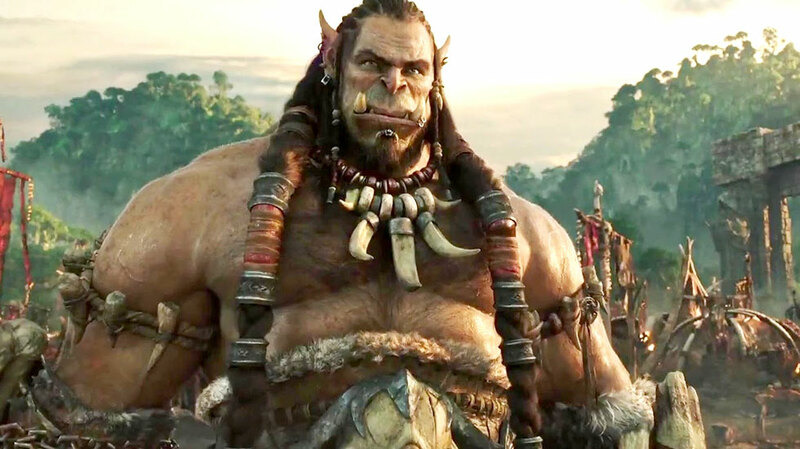 Warcraft: The Beginning marks the property’s debut on the big screen. With their world on the brink of destruction, a raiding party of Orcs set through a gate between worlds to the newly discovered land of Azeroth. There they seek to gather enough sacrifices so that the wizard Gul’dan (Daniel Wu) can use dark magic, known as the Fel, to open the way for the rest of the Horde. Durotan (Toby Kebbell) has doubts about the price of the Fel, but must protect his wife and newly born son. Soon he comes into conflict with Anduin Lothar (Travis Fimmel) commander of Azeroth, and the stout defenders of the city of Stormwind. As Orc and humans clash for control of Azeroth, both sides realise their may be something amiss with the magic users that are championing their conflict. At its heart Warcraft: The Beginning has the shape of a descent fantasy epic. It is just buried under a mountain of lore, poorly explained by the script. Instead it comes across as messy and confused storytelling, even when the mythic tales it is borrowing from seem familiar. It works better for those already familiar with the world of Azeroth and the events of the First War, but fails to walk a general audience through that assumed knowledge. However it does capture the spirit of the games, realising the cartoon-like nature of the world. The outlandish fashion and disproportionate weaponry are given life and a sense of realism, despite the impracticality of them. The design elements look more like a computer game brought to life rather than a believable world. Normally that would be a damning complaint, but here, surely that is exactly the point. Perhaps the best example are the named Orcs. The CG actors give outstanding performances, out acting their flesh and blood counterparts. There is genuine pathos brought by Toby Kebbell (Fantastic Four) to the role of the Orc chief Durotan. By contrast the human actors are pitching their performances as pulp entertainment. Fimmel (The Vikings) is bringing absolutely no nuance to Lothar, but seems to be having a lot of fun doing it. To a degree that is infectious, and his natural charisma does shine through. A bombastic and confusing film, but not without some degree of fun.